The smoothly curved interior and rounded base of the Signature saucepan make sauce making easier than ever, with no tight corners to trap ingredients - allowing them to blend easily. An extended helper handle and a contoured main handle also provide added control when transferring cookware on the stovetop or between the kitchen and the table. 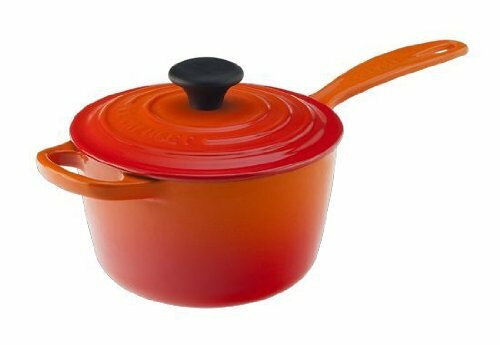 Crafted of durable cast iron and protected by Le Creuset's enhanced enameling, the Signature saucepan provides the optimal medium for sauce making with its precise and responsive temperature control properties. In fact, cast iron has long been used by chefs around the world to achieve the steady low-to-medium heat required for building delicate sauces.